The deco mug is a highly angular shape. With an ergonomic curved handle and tapering body, the unique mug shape is one of the most popular. 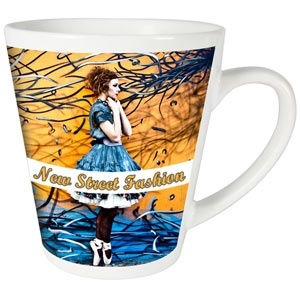 This jazzy style will certainly make you stand out from the rest with a full colour wrap around dye sublimation print.